Using a facial mask can give you the effects of a facial, at a fraction of the cost and hassle. Best of all, you’ll get to pamper yourself at home. The right mask can treat your skin care concerns, so you’ll want to find the right one for your skin type. It may take some time and experimentation to find the perfect mask for your skin, but we’ve found some of the best masks on the market to get you started. 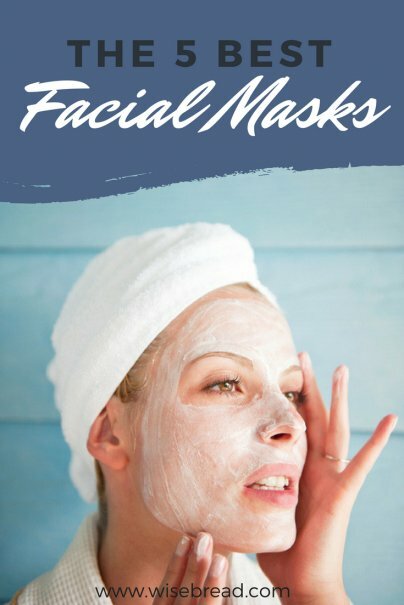 What Is a Facial Mask? A facial mask is a skin care treatment that can hydrate the skin, remove excess oil and impurities, heal blemishes, reduce the appearance of pores, detoxify the skin, and provide anti-aging benefits. There are various types of masks available, including clay, cream, gel, and sheet masks. Depending on the mask you choose, they may tighten, tone, hydrate, nourish, calm, soothe, brighten, refresh, and rejuvenate the skin. 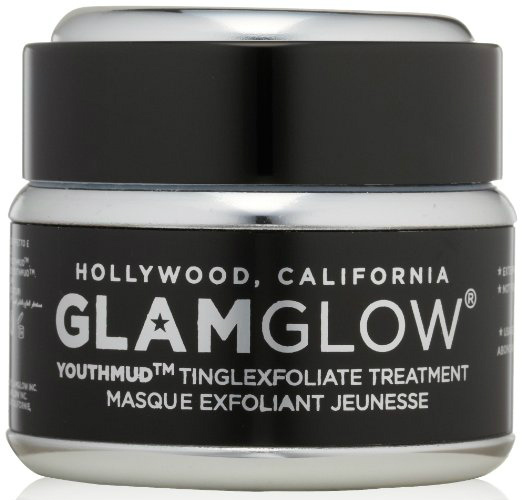 You won’t find a better mask than the cult classic GLAMGLOW Youthmud Tinglexfoliate Treatment. The “facial in a jar” was originally designed for Hollywood’s elite and can provide you with your best skin ever in only 10 minutes. Thousands of satisfied users consistently find that you can see and feel results after the first use. Once you put the gritty mud mask on, you’ll feel a slight tingling sensation, which most reviewers find very pleasant. Using high-quality ingredients like volcanic pumice rock, super antioxidants and minerals, French sea clay, and active green tea leaf, it can exfoliate your skin while perfecting it. It also has the patent pending TEAOXI (a proprietary time-release technology), which can help protect against free radical damage and provide a more youthful appearance. The multilevel resurfacing exfoliation can help clear your complexion, tighten skin, minimize pores, soften wrinkles and fine lines, correct discoloration, improve skin’s texture, and absorb impurities without removing your skin’s natural oils. It activates the skin collagen synthesis to revitalize the complexion for radiant skin and a noticeable three-day glow. It will leave your skin noticeably softer, smoother, clearer, brighter, and tighter. The natural mask is paraben-free and safe for all skin types. The can be used as often as needed, as a full mask or as a spot treatment. This powerful mud mask is recommended by Shape Magazine, Cosmopolitan, Elle, Into the Gloss, and Birchbox. If you don’t enjoy the tingly sensation, consider the highly rated GLAMGLOW Thirstymud Hydrating Treatment or GLAMGLOW Super-MudTM Clearing Treatment. The Freeman Facial Charcoal and Black Sugar Polish Mask is a deep cleansing mask and scrub in one. The dual action formula contains black sugar to help exfoliate away dull skin cells and activated charcoal to draw out oil and impurities. After 5-7 minutes, it will purify and detox the skin. It smells great, will clear up acne and enlarged pores, and will leave your skin feeling soft and smooth. It is paraben-free and ideal for all skin types. The purifying mask is recommended by Allure and popular publications like Harper’s Bazaar. It has outstanding online reviews, including nearly 500 five-star reviews on Amazon. Freeman makes masks for every skin type. If you aren’t sure which one is right for you, consider a Freeman Facial Mask Variety Bundle, where you can try various options until you find the one that is right for you. 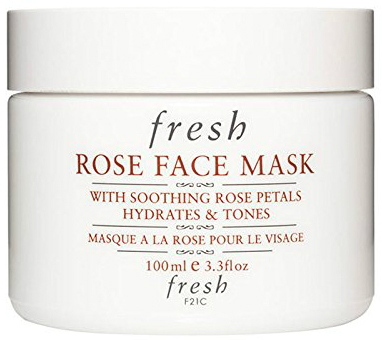 The Fresh Rose Face Mask is formulated with cucumber and real rose petals, which will feel extravagant and leave your skin glowing. Most reviewers love the smell and found that it applies well. The gel mask can help treat acne, blemishes, and discoloration. It reduces redness, calms inflammation, and can relax, soothe, and refresh the skin. Reviewers found that it can completely hydrate, nourish, and improve your skin after only 5-10 minutes. It can be used daily and is ideal for all skin types. This is a pricey option, so you may want to consider trying the travel size version first. It is a Total Beauty Top-Rated Beauty Product and is recommended by Elle, Cosmopolitan, Harper’s Bazaar, and Shape Magazine. 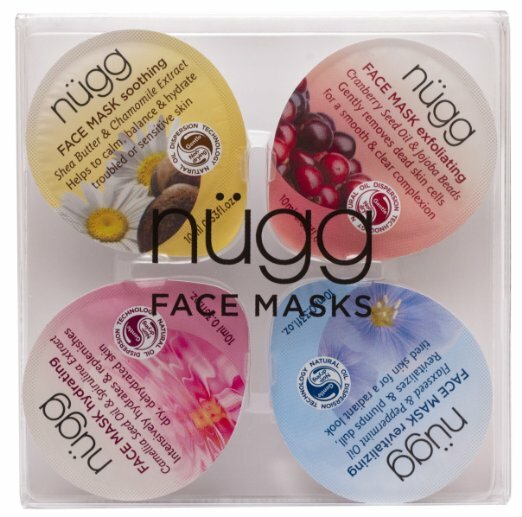 The nügg Face Mask four-pack offers four different masks to give you your best skin ever: Soothe, Exfoliate, Hydrate, and Revitalize. These intensive single-use masks can be used, as needed, to address your main skin care issues. They are formulated with natural oils and over 90% natural or naturally-derived ingredients. The high-performance masks can smooth and clear complexion, soften and hydrate dry skin, deep clean, and help skin retain moisture. After only five minutes, your skin will be softer, smoother, brighter, and more hydrated. You’ll see results after every use and can expect super moisturized skin that lasts all day. Each mask comes in a futuristic pod, which protects the mask from oxidation and makes it easily transportable. The entire pod can be used once per week, so this sample pack should last a month. The masks have no chemical emulsifiers, synthetic fragrances or colors, petrochemicals, or parabens, so you can feel good about using them. These award-winning masks are an Allure Best of Beauty Winner and are recommended by Harper’s Bazaar, Into the Gloss, and Birchbox. Each type of nügg face mask offers their own unique benefits, so you’ll need to experiment to find the best one for your skin type and personal needs. 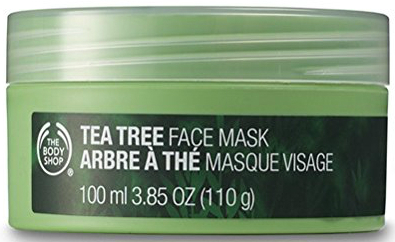 The Body Shop Tea Tree Face Mask can help with acne, breakouts, and oily skin. The silky cleansing clay mask contains lemon tea tree oil and Tamanu oil, so it has a smell that most reviewers tend to like. The instantly cooling mask has menthol, which creates a soothing effect for acne-prone skin, helping to calm irritation and redness. It is the perfect natural blemish fighter because it eliminates existing blemishes, prevents future breakouts, removes impurities, and controls oil and shine. It has antibacterial benefits and will leave your skin feeling deeply cleansed, refreshed, soft, smooth, and ready for makeup. This natural alternative for blemish prone skin is recommended by Allure and is a Total Beauty Top-Rated Beauty Product. It has rave reviews online, including from those who suffer from acne. And those are our recommendations for the best facial masks. As always, be sure to check Wise Bread's Buying Calendar to learn when and how to buy just about anything! Disclaimer: The links and mentions on this site may be affiliate links. But they do not affect the actual opinions and recommendations of the authors. Wise Bread is a participant in the Amazon Services LLC Associates Program, an affiliate advertising program designed to provide a means for sites to earn advertising fees by advertising and linking to amazon.com.